Moving to a different country is always an adventure, and the same applies for buying a property! 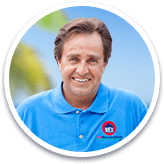 In this free webinar you will learn the basic steps to follow when buying property in Mexico for the first time. What's the easiest way to find my home? Sign up today to learn all about buying property in Mexico! In the meantime, take a look at other Mexico Real Estate resources.